How might we co-create a culture of inclusion with our patrons? This was the inspiring question posed by three passionate and knowledgeable panelists at the recent Canadian Arts Marketing, Development, and Ticketing Conference in Toronto, presented by ArtsReach. You can find the PowerPoint slide deck from this presentation here. April Moon (Associate Director of Audience Services, Canadian Stage) provided an outline of the accessibility challenges at Canadian Stage: three different venues (none of which are fully accessible), and a significant number of people served each year. This calls for detailed accessibility planning where nothing can be taken for granted. April’s counsel was practical: pay attention to show reports filed by front of house and the box office, not only to discern issues and patterns, but also to identify patrons with accessibility needs. April observed a number of concerns expressed by one patron in particular, and followed up with her, asking her to make a special trip to the theatre so that they could tour it together. 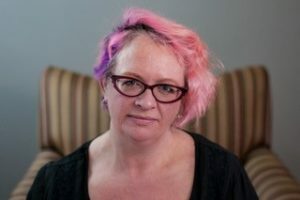 The findings were both surprising and revelatory: for instance, April learned that the patron (a woman using an oversized electric wheel chair) couldn’t use the “accessible” stall in the women’s washroom at one of their venues, because she couldn’t transfer out of her wheel chair and close the washroom stall door. Door openers were inconsistently placed, lifts were not well-maintained, lobby tables were too high for someone using an wheelchair, and some entryways had high thresholds, making it challenging for someone using a wheel chair to enter. 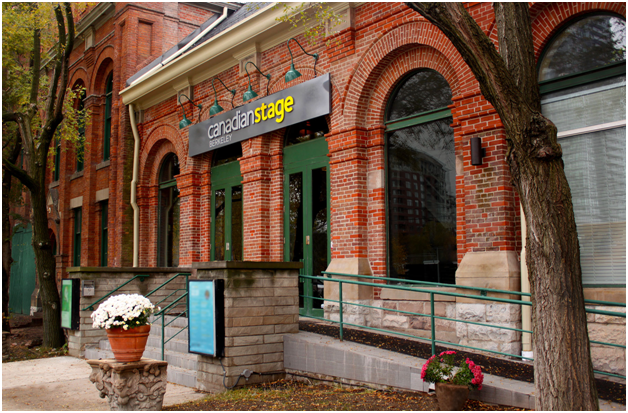 From this one comprehensive tour, Canadian Stage made a list of small and larger renovations, and is now undertaking a program of comprehensive improvements. Kevin Devaux (Manager of Patron Services, Toronto Symphony Orchestra) spoke next, and talked of the Toronto Symphony Orchestra’s passion for classical music and for its patrons. As a tenant organization of both Roy Thomson Hall and the Toronto Centre for the Arts, the TSO is committed to working with host venues to coordinate accessibility efforts and communications to ensure a seamless experience for patrons. The TSO team meets regularly with event services staff at its venues. They study show reports with care, follow up with patrons to address concerns, and make notes in patron records so that team members can check back with patrons at their next visit. The TSO team also looks at Yelp reviews and a mapping app called accessnow.me, to better understand the user experience and respond proactively. With their colleagues at Roy Thomson Hall, the TSO team has developed a checklist, a customer service plan (that includes re-seating, if needed) and agreed-upon messaging if the Roy Thomson Hall patron elevator is out of service, to ensure speedy, responsive, consistent and comprehensive communications across a range of channels. As well, the TSO website provides detailed information on accessible services at all of its venues, with an intuitive short URL: TSO.ca/access. Staff at these venues receive regular training, and accessible services are regularly reviewed. 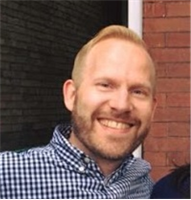 Kevin emphasized: invite your patrons to help, then prepare improvement plans that cover services, resources, and training – with a budget to implement them! Rachel Marks (an autism awareness consultant with significant experience in the performing arts), spoke about relaxed performances, and some of the things that organizations can do to fully welcome individuals on the autism spectrum, along with their families and friends. Maps of your venue that highlight the sensory experiences it offers: smells, sounds, touch, visuals. Accessibility packs: could include a fact sheet about your company, written in plain language; fidget toys (available through Autism Ontario); sunglasses to help manage bright lights; character guides as appropriate; or a social story (a step-by-step, first-person, positive and highly visual explainer document that walks the individual through the experience of entering the theatre, finding the box office, finding the washrooms, exploring the lobby, entering the theatre, taking their seat, expectations of behaviour during performances). Offering “touch tours” and backstage tours BEFORE the performance: if you let people come to the venue for a guided tour when it’s less crowded, they’ll be far less anxious about their performance experience. People on the autism spectrum are often extremely logical: if a first-time visitor to the theatre understands what’s going on and how effects are achieved, they are far more likely to enjoy the performance. Addressing the human element: Front of House staff, box office staff, and artists should be well-prepared for the experience. For instance, there can be a lot of movement in the house during a relaxed performance, and this should not be interpreted as a demonstration of a lack of interest. I walked into this session with the assumption that we all want to make our orchestras as accessible to as many people as possible; I left with a clearer idea of the concrete steps we must individually and collectively take to live out this aspiration. I’m grateful to April, Kevin, and Rachel for sharing their knowledge and commitment with us, for reviewing this post before publication, and for sharing their PowerPoint slide deck, too. New York’s Theatre Development Fund (which runs the TKTS booth in Times Square, among many other services) has a comprehensive set of resources on their website related to relaxed performances. Note in particular their use of video to walk people through the Times Square experience!